« Sample Maple On A Tour Of Woodstock, Vermont’s Sugarbush Farm! 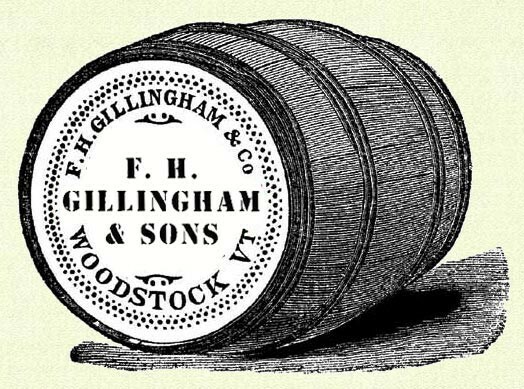 Woodstock, VT’s F. H. Gillingham & Sons celebrates their 131st anniversary this year. This makes them one of Vermont’s oldest general stores still under management by the same family! Take a step back in time with a visit to this wonderful, historic store! Vermont is lucky in that it has a number of contenders for “oldest general store in Vermont,” many still managed by descendants of the original owner. That’s certainly the case here in Woodstock. F. H. Gillingham & Sons has been operating downtown since it opened in 1886! The family that started the business still owns it. Best of all, the store still retains much of its late 19th/early 20th century feel. F. H. Gillingham & Sons is located in its original building at 16 Elm Street, here in Woodstock, VT. The business is part general store, part history museum. Entering the store is like stepping back in time, complete with creaking, wooden floorboards worn smooth and dark by over 100 years of customers and clerks. Gillingham’s, as they’re referred to locally, carries a wide variety of products, both traditional merchandise and modern. “Everything from caviar to cow manure,” as their website says. Fresh produce, hardware, clothes, toys, wine, and more can be had here. The store was a supporter of local farmers long before it was fashionable, partnering with local cheesemakers and others to help advertise and distribute their products. Fine, local and regional goods and products are another big part of the store’s continued draw. Gillingham & Sons maintains strong ties to their rich history. Beyond offering a traditional, general store environment with good service and high-quality products, they also still deliver groceries! The store’s archives, too, hold more than just store transactions. The vast collection of artifacts and documents is an illuminating treasure trove detailing the social history of Woodstock as well as that of the business. Any visit to Woodstock, VT is incomplete without stopping by Gillingham’s! You can even visit and purchase goods from Gillingham’s online: www.gillinghams.com. Deer Brook Inn is just 10 minutes away from Gillingham’s and the rest of Woodstock’s historic downtown. Our comfortable 1820’s farmhouse inn offers distinctive yet casual lodging with spacious rooms and ensuite bathrooms. Book your Vermont getaway today at Deer Brook Inn!